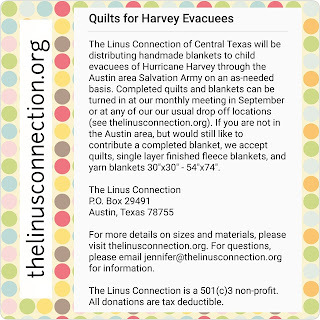 If you are not in the Austin area, but would still like to contribute a completed blanket, we accept quilts, single layer finished fleece blankets, and yarn blankets 30"x30" - 54"x74" (more information below). Printable donation form for blankets that are mailed or dropped off. 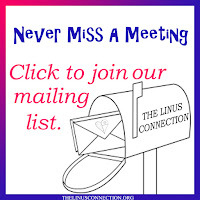 If you would like to ship UPS or FedEx, please email for an alternate address. We provide handmade blankets to children up to age 17. 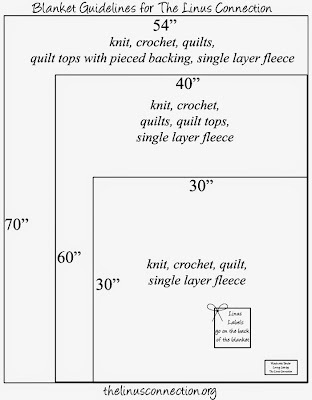 These sizes are guidelines for our regular donations. 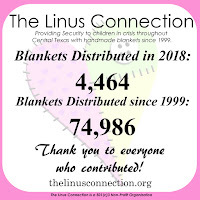 If you have something in between or a little bigger, we are more than happy to get your blanket in to the hands of a child affected by the hurricane. 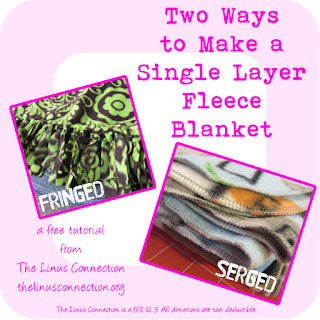 Everything you need to know about making blankets for donation. Spread the word by sharing this image. 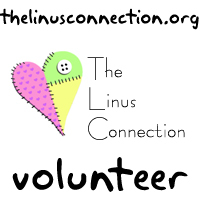 The Linus Connection is a 501(c)3 non-profit. All donations are tax deductible.